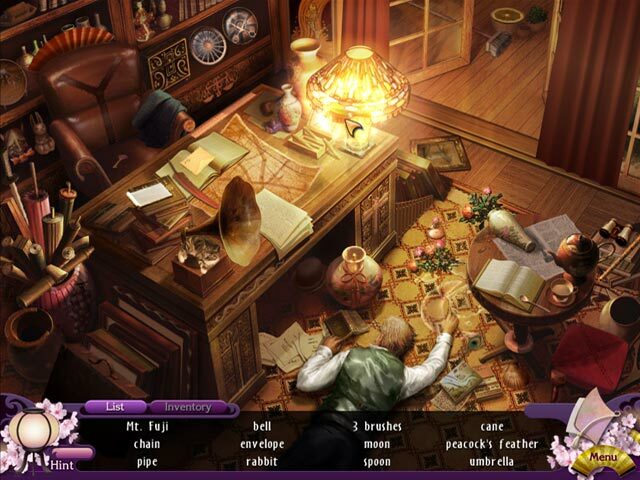 This cute adventure game has a variety of characters that you can alternate between, depending on what you need done. As you can see from the screen above, there is a hint meter, which is filled by finding dog biscuits (they're scattered all over the place). All in all, this is a fun game with a short, built-in tutorial to give you the general gist of the game mechanics. 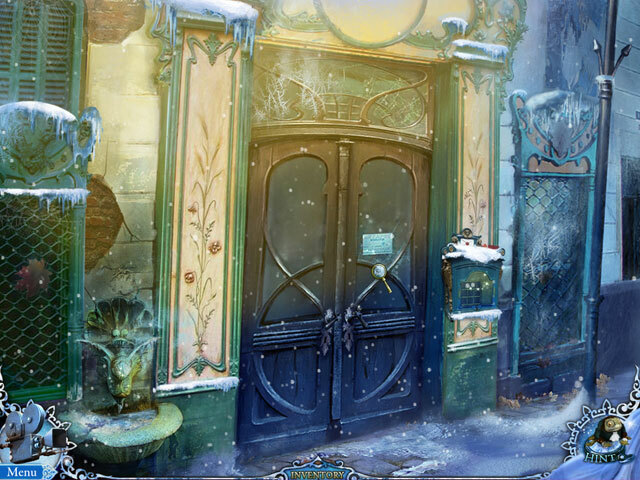 *NOTE: Great Adventures: X-mas Edition is the SAME game, but with Christmas decorations/tree. 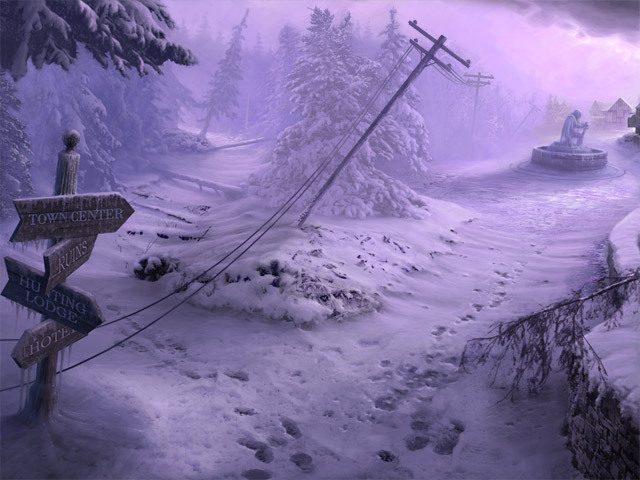 Mystery Stories 3: Mountain of Madness. This is a simply beautiful game with excellent game mechanics and an immersive and compelling story. Above all else, it is different, which is a breath of fresh air nowadays. The game is heavy in adventure elements, which is something I especially love. Absolutely give it a try if you haven't done so, already. I highly recommend this game! The game's graphics and mechanics are very well done, with interesting gameplay, tons of scenes to visit, not a ton of hidden object scenes and a lot of the adventure-esque play that I love so much. 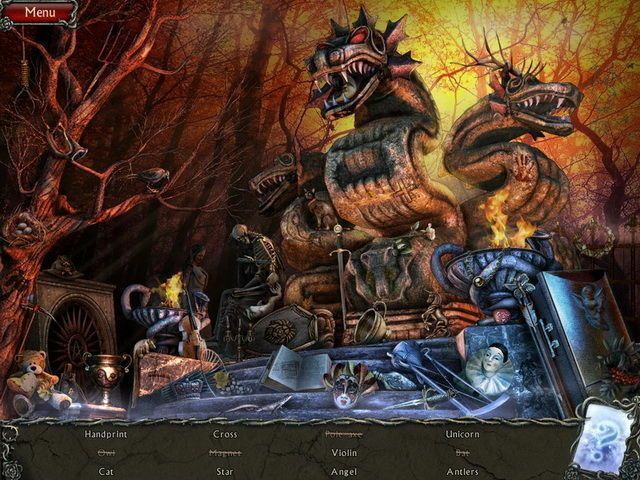 The screen above does not do the game's graphics justice, as you may have gathered from the banner at the top of the page. Look for a third Sacra Terra banner later this week! Looks interesting. It is in my stack of "to be played" games. I picked the CE up on one of the sales for this as well. Haven't played it either though. I love this little SIM, and in the spirit of Valentine's Day, have made it the featured game for this week. As you can see in the current banner, you can build a chapel to marry your characters. This is where the horoscope comes in to play - only characters with complementary astrological symbols can marry (and then have children). You can build a school and train the children in various skills, and there are plenty of quests to complete. The story follows a woman in Japan whose husband has supposedly committed suicide. Her goal is to prove that her husband was murdered, and the story involved is really very well done. It left me with a feeling of quiet, serene triumph. 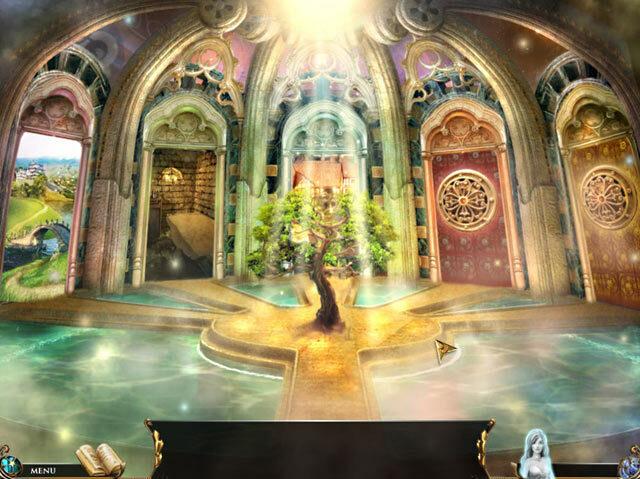 As you can see from the screen above, there are no junk pile hidden object scenes, and the graphics include the understated glimpses of movement that I so appreciate. The slightest movement of a curtain caught by the breeze, the dust motes caught in the sunlight or by the lamp... Just beautifully done! There's not a lot of interaction, which makes it good for those who like straight HOG's, but there is enough that those who prefer IHOG's will enjoy it, as well! I really enjoyed this one, and it's definitely one to check out if you haven't done so, already. I purchased, played and enjoyed this game back in November, 2009. I don't remember much about it now but I do remember enjoying it and loving the beautiful graphics. Good game! This screen doesn't even show any content from the two expansions, Dinosaur Digs and Marine Mania. You can get the "basic" Zoo Tycoon, as well as both expansions, all wrapped up into one inexpensive package with Zoo Tycoon Complete Collection (ZTCC). You can find ZTCC for sale at a variety of places, from Wal-Mart to Amazon.com, and for under $10. Wow, I would not have thought that your banner picture came from Zoo Tycoon. 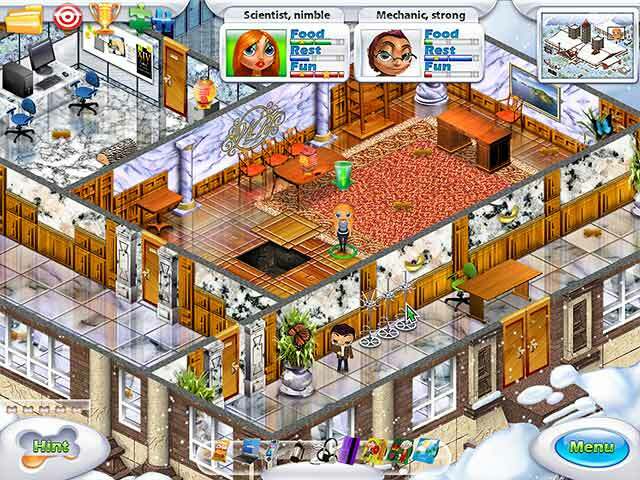 With all the snow it reminded me of that TM/Sim game you used before. Mystery Age: The Dark Priests. This is the second in the series, though it is not necessary to play the first game to understand the second. I do own the first game, but have not yet played it past the demo. Dark Priests is one of my personal favorites, with gorgeous graphics and incredibly immersive gameplay. 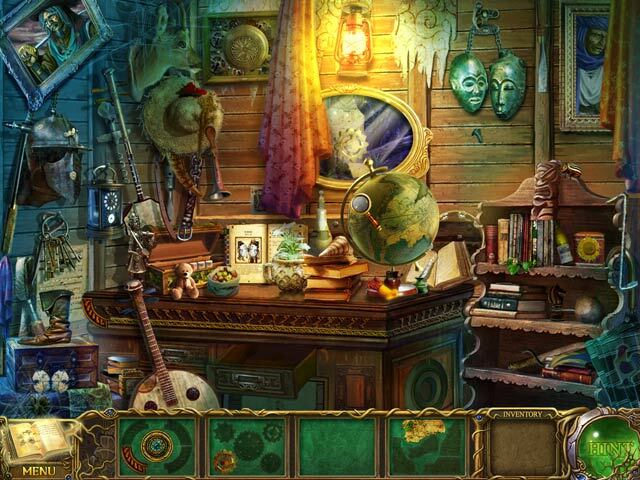 It is a mixture of both fragmented items and classic hidden object scenes, starting with FROG play, going to IHOG, and back to FROG. Excellent game, I absolutely loved it! 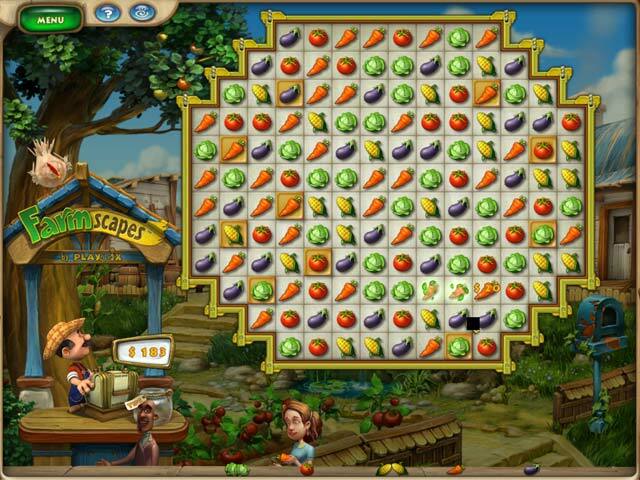 Primarily, this is a match-3 game, selling produce with the goal of fixing up Grandpa's farm. There are intermittent hidden object scenes, as well as adventure-esque play where you have to find x-number of bees, or put together a wheelbarrow so that you can move rocks (in order to plant a new area). There are hints during all types of gameplay, so not to worry if you're not good at that kind of thing! Grandpa is delightfully cranky, and the goal of making money to fix up the farm makes the game completely addictive. If you're thinking that this game reminds you of Gardenscapes, that's the perfect comparison! 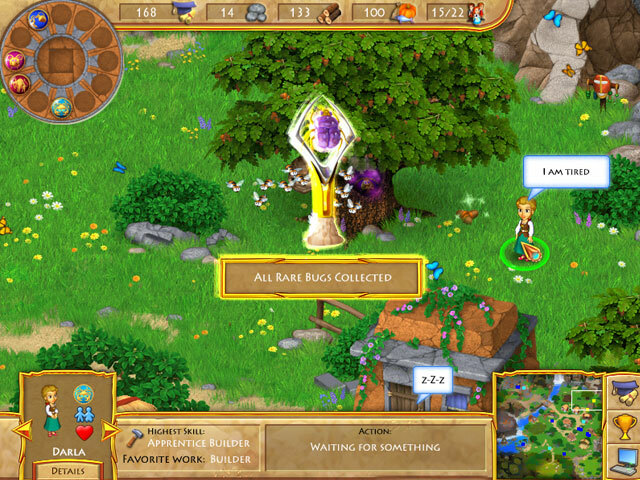 Gardenscapes and Farmscapes are both made by Playrix, and the "fix-it" mechanics are much the same. The biggest difference is that this is a match-3 game, rather than a hidden object game, but that addictive quality is the same for both. possibly even if you don't! You may find that you like M3's after all! It's been a while, so I'm guessing it's time for another featured game! 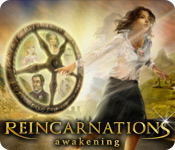 This time we focus on Reincarnations: Awakening, which is the first in the series. As a bonus, as I was looking for some good images, I found that the official site offers some lovely wallpapers! This game has beautiful graphics, and is especially good for those who don't have a lot of time to devote to playing games, as there are five completely different quests to complete, with an overall plot that nicely ties them together. Complete a quest, then come back at any time to do the next one without having to try to remember exactly what you'd been doing before! Each of the doors you see above offers an experience from a different past life. This is a beautiful and varied game, and I really enjoyed it. You might have noticed that we have a new featured game today! The Treasures of Mystery Island 3: The Ghost Ship is my favorite of the series, with the first two not really capturing my interest. I see that I never did a formal review of the game, which is a crying shame, as this particular game is one of best of the best, IMO. I'm generally not a fan of FROG's (FRagmented Object Games), but this one really stands out from the pack. When I got to the "end" of the game, I realized that there was still a lot of game left to play, giving even better value for the money. 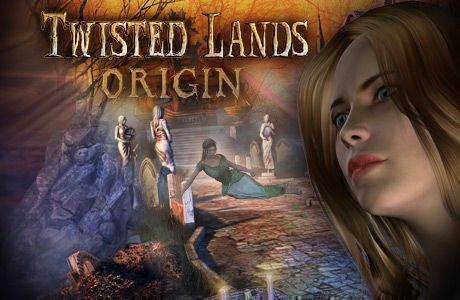 It's probably no surprise that I've chosen Twisted Lands 3: Origin to be the new featured game. The game is outstanding, from the art to the storyline to the gameplay. On the off chance that you haven't played the first two games in the series, this one CAN be played without ruining anything for yourself. I thought I'd do something different, and add a game series as the "featured game" this time. The current banner is from Delicious 7: Emily's True Love. I absolutely love this series, and have reviewed the series (with game specifics) HERE. You can find all the Delicious games from #3 through #7 (and bundles! Woohoo for bundles!) by clicking HERE. 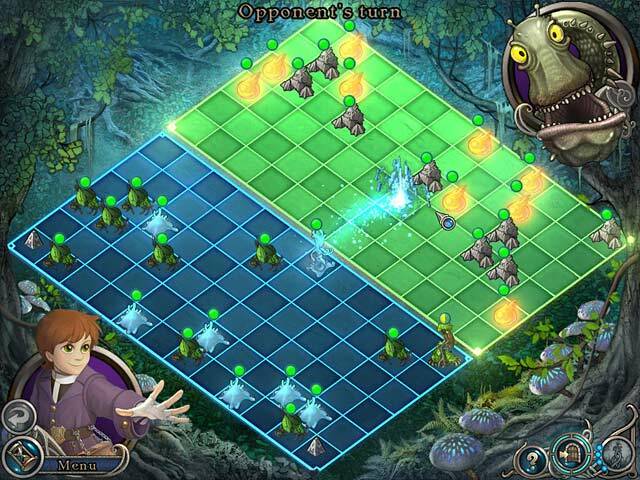 Elementals: The Magic Key is our current featured game. I'm currently on my second play-through of Elementals. I was completely enamored of this game when I first tried it, and I still am really enjoying it very much. It's a strange mixture of gorgeous scenery and cartoon-like characters, a combination that nonetheless works somehow. The battles start off easy, but get harder as you progress. Fear not, there is a skip button for both the minis and the battles, if you so desire. I hope you enjoy the game as much as I do! 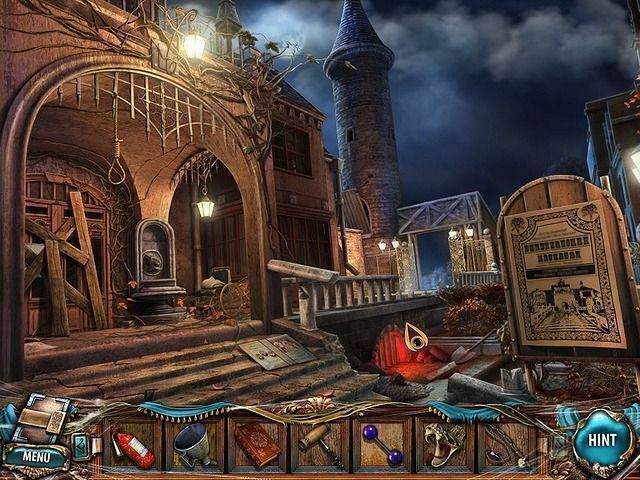 The new featured game is The Clockwork Man 2: The Hidden World. The graphics in this game are simply breathtaking, the music poignant, and the characters loveable. I've changed the banner a couple of times lately, but did not announce a new Featured Game, simply because they were games that I had recently posted reviews on. This is one of my eldest's favorite games, which she played through three times straight, and has played a couple of times since. It has an unsettling story, which in part featured the real-life woman Delphine LaLaurie. The graphics are gorgeous, the gameplay adventure-esque, and the story is engaging, to say the least! 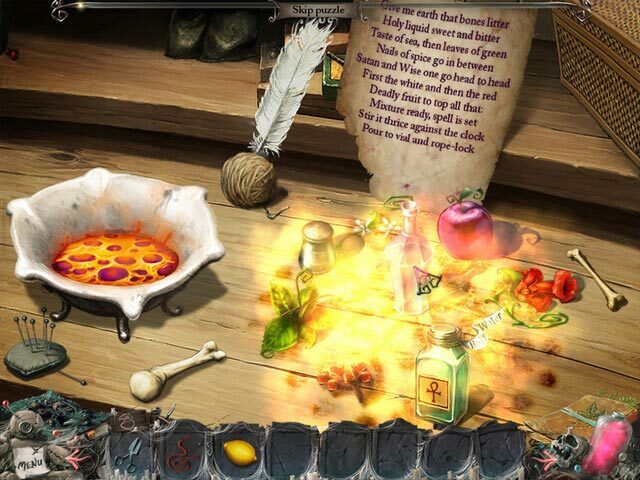 As you can see, we have to make some potions, and for those who worry about such things, I do not remember harming any creatures during gameplay -- including other humans. Deadtime Stories was set up to be a series of different stories, and I really wish that I-play had continued with the project (I'm just assuming that they haven't, since this one was released in 2010). This is an excellent game, and I highly recommend it! My favorite part of this game is the opening and closing cutscenes. Quirkiness abounds, and I love it! As you probably guessed, this is an arcade-style match-3 game. 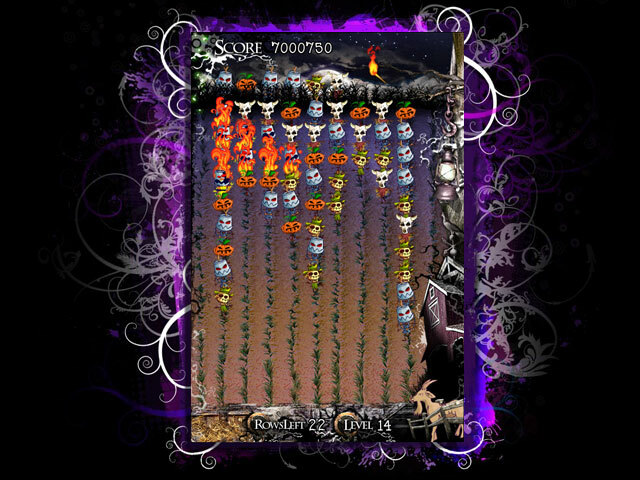 Click on groups of matching scarecrows to get rid of them, and don't let any reach your farm! Find more game-specifics in my review, HERE. We have a new featured game at last! In honor or the season, I'm giving thanks for GOG's 5-for-$10 sale on.... Drumroll please! ... Botanicula! I have been coveting this game since I did the demo a couple of months ago. It's delightfully quirky, beautifully rendered, and in all a gorgeous reminder that point-and-click adventures are still a wonderful way to pass the time. 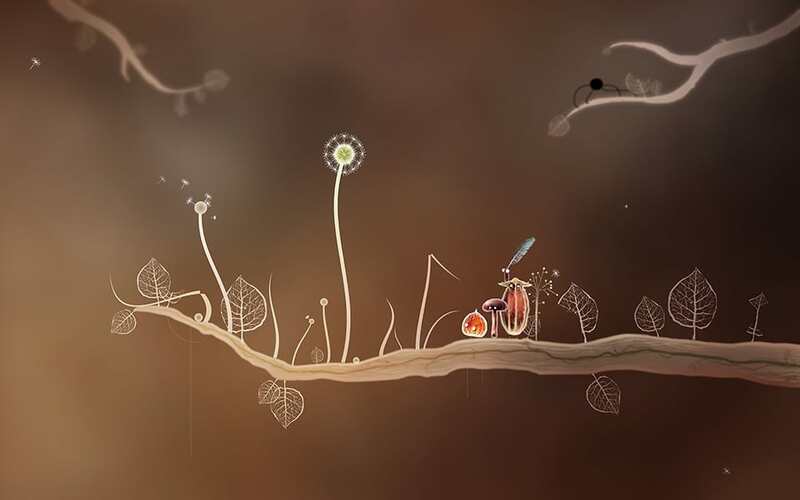 The game is by Amanita Design, the company responsible for the Samorost games and Machinarium (which I will be adding a topic for shortly). I hope to play and review the game properly in the next couple of days. In the meantime, why not try it for yourself? Just go to http://amanita-design.net/games.html and you can do the demo online! I'm taking a break from the winter-themed game shots to do an actual featured game. Anyone who's played the game knows what Glitch is already, but for those who never got a chance to play this MMO, it was a quirky, funny, and sometimes touching game that was community-driven. You may have noticed that I said "was". Sadly, today is the final day in Glitch's existence... the game ends for good as of eight o'clock this evening (PST). To honor Glitch's memory, I'll be featuring the world of Glitch with a new banner every day. I could probably go on for months this way, and never repeat a graphic style, but I think that 10 days will be sufficient for everyone to either get a taste of what the game was like, or to remember fondly the world that was. Rock on, Tiny Speck! We former Glitchen salute you, and hope for the best in your next endeavor! My eldest pointed out this morning that I've put the wrong credits on the banner at the top of the page... It's Chimeras: Tune of Revenge, not Tune of Death Whoops!